Synopsis, Our Opinion: Delightful white wine and at this price it’s a SCREAMING BARGAIN!!! Producer/Winery: Lino Carparelli; I Pastini; Martina Franca, Italy. 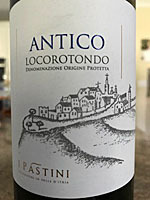 Grape Variety: White blend – 60% Verdeca, 35% Bianco d’Alessano and 5% Minutolo. 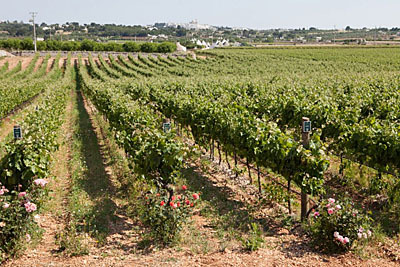 Geographic Appellation, Region, Country: Locorotondo; Puglia, Italy. Paired With: Chicken and tortellini with home made pesto and cherry tomatoes and a garden salad. Chilled before drinking. Clear, light oat straw color. Enervated pear, apple, melon and fresh cut grass aromas with slight whiffs of wet crushed rock. Smooth, lively, slightly creamy, medium body and a smooth 200-grit texture. Flavors of dusty cooked Kieffer pears, ripe cantaloupe and just a touch of lemon. Abundant bright acidity and a long tart finish. Unusual white Italian wine. Uncommon grapes with light bouquet, creamy yet acidic mouth-feel and pear dominated taste and finish. Excellent pairing with the dinner, invigorating and VERY drinkable. It was fresh in the mouth and the tart acidity really gave the heavy pesto flavors a lift. Delightful white wine and at this price it’s a SCREAMING BARGAIN!!! Comments: Learn more about I Pastini and their wines. See also: our review of other I Pastini wines.